Gavilan College Morgan Hill will be closed from December 24, 2018 - January 21, 2019. Services will continue at our Gilroy Campus. Please visit or call us. We are looking forward to assisting you! Look for the green building! Admissions Apply for admissions through CCC Apply. Computers and assistance available. Registration & Records Class registration, Add/drops, pay fees, clear holds. Cash, Visa, Mastercard, and checks are accepted. Forms: Transcript Requests, Credit/NC, Change of Info., High School Contracts, Repeated Course Request, etc. Counseling Academic and educational planning available every Wednesday by appointments only (no walk-ins). Schedule appointment by calling the Morgan Hill Site (408) 782-2873. Purchase scantrons and greenbooks. Also order textbooks on-line at efollet.com and collect them at this location. 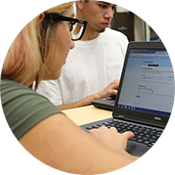 Receive research assistance from Gavilan librarian Tuesdays from 9:00-1:00 pm in room 8. Computer Access Student drop-in lab available to all registered students. Open during office hours. Purchase GoPrint cards and reloads. Career / Transfer College catalogs, career assessment. 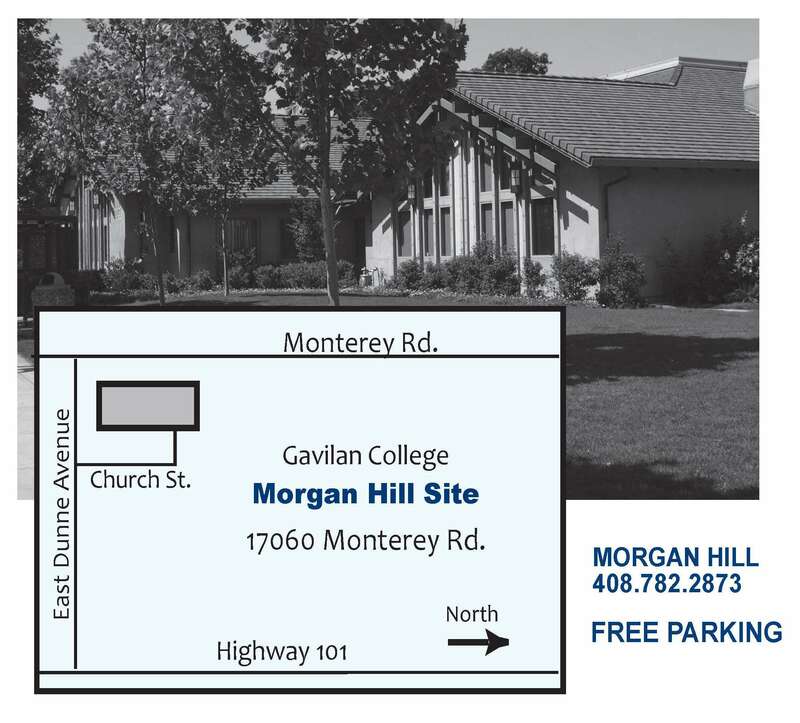 Gavilan Morgan Hill also offers free non-credit ESL, computer and citizenship classes. Please calls us at 408-782-2873 for more information. Gavilan Morgan Hill también ofrece clases gratis de ESL básico, computación y ciudadanía. Por favor llámenos al 408-782-2873 para más información. 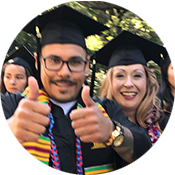 Services for veterans and international students are available at the Gilroy main campus. All other services, including CARE, MESA, TRIO, etc, are also available at the Gilroy main campus. Call 408-848-4800 or check the catalog for complete listings.